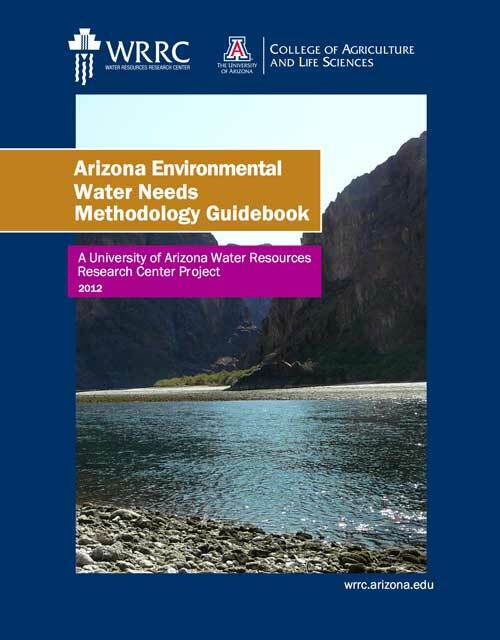 Arizona Environmental Water Needs (AzEWN) Methodology Guidebook: Determining the best methods or quantifying environmental flow needs depends on what is to be studied as well as how the information will be used. This guidebook will provide a description of the methodologies used in Arizona to define the environment’s need for water. Depending on the geographic context, the time and effort available, and whether the goal is restoration or maintenance of an ecosystem, some methods will be more appropriate for a given application than others. The resulting flows prescribed by each method may be more or less feasible when paired with socio‐political considerations or water availability. The goal of this guidebook is to help the reader navigate new territory, to illuminate the various points of contact and the corresponding issues they address. Revised 2012.